Hey, everyone. This is Blair Barnhardt, Founder and Executive Director of the International Pavement Management Association, and author of the book On Better Roads: Saving Your Crumbling Roadways With Practical Pavement Management with today’s session which is entitled Pavement Management Primer. My intent is, and always has been, to help everyone understand the importance of practical pavement management, particularly in these trying economic times when pavement managers are required to do more with less money. So in today’s session, it’s meant to be a 30,000-foot overview of practical pavement management with the three-legged stool system. First and foremost, let’s go over some things we all need to know whether we’re working with a city or a county, whether we’re a rate payer, whether we’re just some concerned citizen, some media person; maybe you’ve got access to a TV channel or something, and you want to spread this news. Just know that today’s 30,000-foot overview is a simple approach with some topics here, some things we all need to think about regarding the state of our current roadways. For example, our MAP-21 Transportation Bill specifically calls out recycle preservation and sustainability, and yet, some states are simply ignoring this bill all together, and they continue to do things like it’s 1956. What business would still be in business today if they were still doing things like it was 1956? Next, our Highway Trust Fund is pretty much out of money, and the prediction is that we will be out of money in October of this year. Even if it was funded, if we continue to do things the same old way, our country will never catch up with the deficit backlog of bad roads that we’ve created. According to Smart Growth America, our country is spending 57% of its Gross Domestic Product (GDP) on a mere 1.3% of our roadway system. I’ve driven 87,000 miles over last year and a half in the RV in this country on roads that are somewhat impossible, interstates impossible, only to look in my rearview mirror and see multimillion dollar flyovers, interchanges being built seemingly for no apparent reason in the middle of nowhere. Our fuel tax has not been changed for several decades, and people are putting more and more miles on their vehicles with these fuel-efficient and alternate fuel cars. Most local agencies’ tax revenue is at an all time low due to the downturn in the economy. Many city and county politicians perceived that paving dirt roads is a progressive momentum and an effort to keep their rate payers happy. But the harsh reality is that in these trying times, some cities and counties have simply been forced to turn their paved roads back to dirt. In fact, just this past week, I set up Google Alerts on all things, the three-legged stool and the book On Better Roads, NCHRP (The National Cooperative Highway Research Program) is looking for consultants to help write an upcoming project that will guide local agencies, just like you, as to the correct timing of when they should grind up their asphalt roads. NCHRP is looking for consultants that will work with them on a project that will help agencies, like you, to know when the correct time is to grind up their asphalt roads and turn them back to dirt. I’ll just let you think about that for a second. They know that there is a plethora of cities and counties coming down the road here that will have no choice but to grind up their paved roads and turn them back to dirt. When our commissioners are thinking that their road managers should be out there paving the roads, isn’t that an oxymoron itself? Asphalt is the #1 recycled product in America, in fact, over 100 million tons a year recycled and typically put back in the asphalt plant each year. However, we currently only recycle in place a small percentage, perhaps 3% or 4% in this country, even though this process has proven themselves to be inexpensive and eco efficient for decades. Some states are currently recycling roads that they initially recycled 22 years ago. This works, folks, and you’ll read all about that in the book On Better Roads. Furthermore, ADA (American Disabilities Act) clarifications are doubling the cost of urban type projects, and I’ll talk a little bit about that later on in the same session. Only about 10% of the traveling public understands what pavement preservation is even though everyone knows the importance of taking care of their homes and cars and preserving those assets. 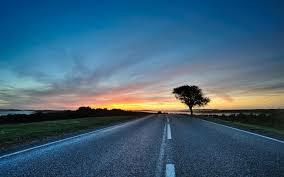 Our roadway system in America is our most valuable asset with over four million miles of paved roads. So as told a long time ago, never to go to your boss and present a problem without a potential solution, as you might have guessed, there is a simple solution, and I have the solution, and it’s the three-legged stool system of pavement management. I will discuss some of the key elements in terms to the system. For those of you who are not pavement managers – the non-pavement manager type city officials, rater payers, everyday normal citizens like you guys – these key elements in terms are going to be discussed in great detail in the book On Better Roads and throughout the IPMA Academy along with our sponsor, our academic partner Auburn University. So again, 30,000-foot overview, I wanted this session to be one that you could share amongst yourselves. At one point, I think Everett and I will go ahead and put this onto a physical CD that you can pass around the office. But for now, enjoy the mp3; let’s get into this right now. If you’re going to set up a three-legged stool system of pavement management and succeed with it, it’s basically three steps. You’ve got pavement management as #1, pavement preservation as #2, in-place recycling is #3. When you marry all three of these together, you get the three-legged stool system of pavement management. So first of all, cities and counties typically have no idea how many miles of paved road they actually have. If we see this firsthand, understand you people listening that I walk this walk and talk the talk every single day. When I’m not making new curriculum for IPMA Academy or for one of our books or one of our audio or DVD sets, my consulting firm is out there on the ground doing pavement distress evaluation day in, day out all across this great country. Moreover, they have no idea of the condition of these roadways. For $0.2 per sq. yard, they can have a pavement distress evaluation performed, whether you get your own folks to do it in your house or with an expert consulting firm. Now if you do hire an expert consulting firm, I highly recommend that the consultants are selected following the guidelines laid out in the APWA Red Book, the qualifications-based selection guide. So go ahead and get that from Apwa.net if you don’t already have it. The pavement distress evaluation will help to identify the pavement type, whether it’s chipseal or micro-surfacing, hot-mix asphalt pavement or otherwise, along with the pavement condition index, the all important PCI. Now typically, the PCI has zero as undriveable at the bottom end and 100 as brand new at the top end per ASTM 6433. Now other systems may be 1 to 10 or 0 to 60; we’re talking in the book predominantly and throughout IPMA Academy about ASTM 6433 or 0 to 100 scale with 100 being brand new. Next, we have target-driven scenario, and the target-driven scenario is where you go back to city council or the county commission meeting, and you say, “We’re at a network level of PCI equals 57 that we’d like to get to a 70.” So now knowing that you aspire to get to a PCI of 70, the software will actually go out and tell you how much money it will take to do that and how long it will take to do it. So again, that is a target-driven scenario. So in the budget case scenario, you tell us we’ve got $5 million to spend; it will go out there and tell you if we’re underfunded, if the PCI is going to drop or stay the same or go out. Based on that amount per year, you can tweak it so you can spend various amounts per year. If you have a sudden influx of money, you can run another budget scenario and add that. So at this point, I must stress the importance of having a qualified staff to set up your decision tree within a computerized pavement management software platform. 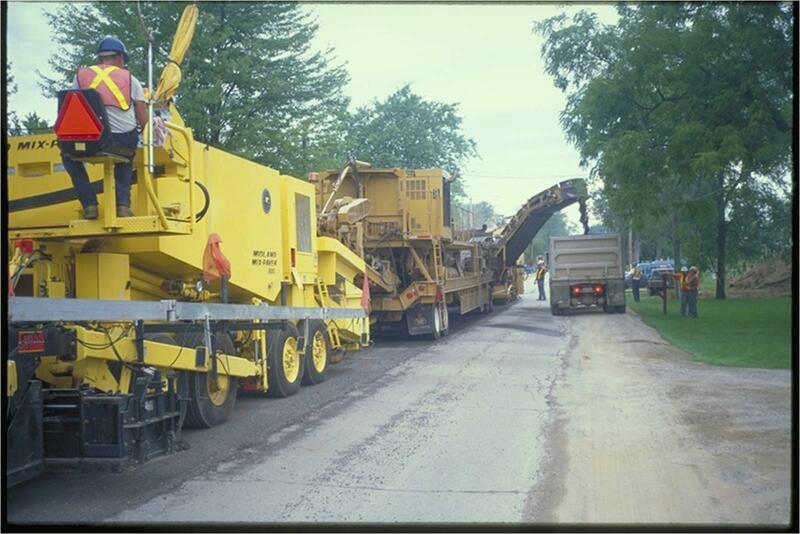 There’s two software programs that are used most frequently for cities and counties, and those two are MicroPAVER and StreetSaver. Both programs allow the user to spend just $1,000 or $2,000, and you’re up and running, whether you do it in house or you hire someone to do it. It’s not expensive, very robust programs, and they can be cloud based. In the case of MicroPAVER, it can also be on your server. But most of the industry is heading more towards a cloud-based system with automatic update, so you never have to worry about automatic backups; you never have to worry about a thing other than putting your data in and managing it. Both programs follow ASTM 6433 and are fully capable of doing all the aforementioned scenarios and the decision tree setup. The most common question I get is, “How much does it cost me to set all this up, Blair, and pay for the program?” So again, MicroPAVER or StreetSaver is going to cost you between $1,000 to $2,000, really depending on whether you get your GIS integrated and so forth. Typically, you’re going to spend $0.2 per sq. 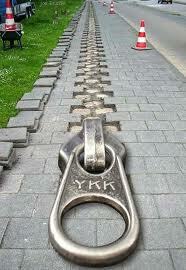 yard to set up your pavement management network. That’s including having a consultant to come out and rate everything with booths on the ground. There’s training available through IPMA Academy should you choose to train your team in pavement management, thanks to the partnership between Auburn University and the International Pavement Management Association. Again, IPMA Academy’s 70 hours of the most comprehensive online training available to mankind ever created, you get your Accredited Pavement Manager certification. Now with the partnership with Auburn University, you also get the CEU credits. So that is #1, you’ve got your pavement management system set up. Now let’s start going in and plugging in some of the stuff into the decision tree. Second part of the three-legged stool pavement management system is pavement preservation. Now there is a multitude of preservation treatments available across this country to preserve and protect our pavement structure, so that they never fall into a state where they need to be removed and rebuilt completely. The timing of these treatments is critical, however, but the good news is this that with the properly designed pavement management software system, your team will have the scientific proof of the proper treatments at the proper time. This preservation type and timing is set up in the decision tree in the paver or the StreetSaver software or whatever software you’re using or you’ve selected, which we previously discussed earlier. Worth noting is that some of the preservation treatments also double as wearing surfaces for the in-place recycled roadways, and I’ll talk about that next. But before we go any further, I have to reiterate the importance of understanding in the eyes of federal highways (FHWA) and ADA (American Disabilities Act). What is preservation, and what is an alteration? You see what the most recent clarifications that have been made by the U.S. Department of Justice, the difference between doing a job with a slurry seal and a micro-surfacing could be whether you spend $300,000 or $900,000. The reason for that is ______ 15:58 micro costs a bit more than the slurry. But more importantly, the micro forces the hand to the city or the county official now to upgrade all of the ADA ramps and sidewalks among other things. Wondering how significant this is? Well, I do Google Alerts on all of the stuff we talk about in the book On Better Roads, and not a week goes by when I don’t read about some city or county that just had their project double in cost because of this very subject we just discussed. One county engineer told me that one of her bucket truck drivers accidentally left the boom up on his truck at an intersection and slightly bent one of the crossbars in the signalized intersection. It cost the county half a million bucks in ADA upgrades to fall into compliance with the Department of Justice. From the top of the curve down, we’ve got, remember, this being 100 and down to 0, and these would all fall up in the upper range of the curve, hence top of the curve. We’ve got rejuvenating agents like the PASS products from Western Emulsions – rejuvenating fog seals, rejuvenating scrub seals. Then we’ve got chip seals – single, double and triple chip seals, tar and chip you may call them, other names along the way. Again, I’ve got to point this out. Chip seals are not seal coats. Now some state DOTs refer to chip sealing as a seal coat, but a chip seal is a chip seal. A chip seal is a surface treatment; a chip seal is not a seal coat. ← Not a Distributor; Just Want You to Have the Correct Software for the Pavement Management Industry.